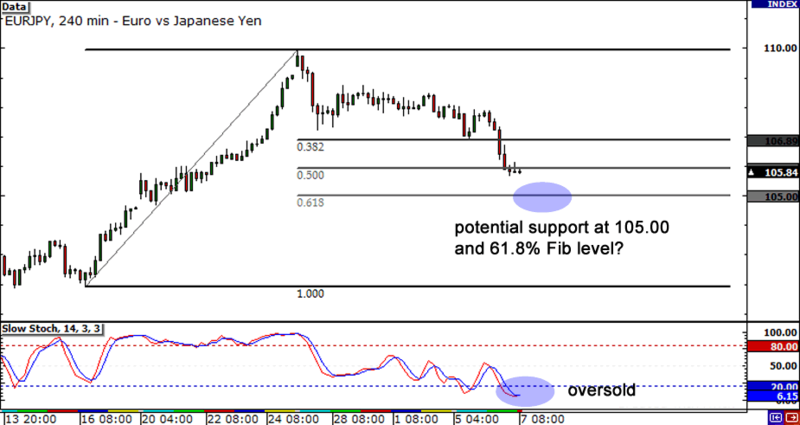 After soaring up the charts the past couple of weeks, EUR/JPY has backed off its recent highs and retraced a bit. The pair is currently trading just below the 50.0% Fibonacci retracement level, and could make its way down to the 61.8% Fib level. I suspect that we could see a ton of interest there, as it also lines up with the 105.00 psychological handle. Keep an eye out for that level, as it could prove to be solid support! 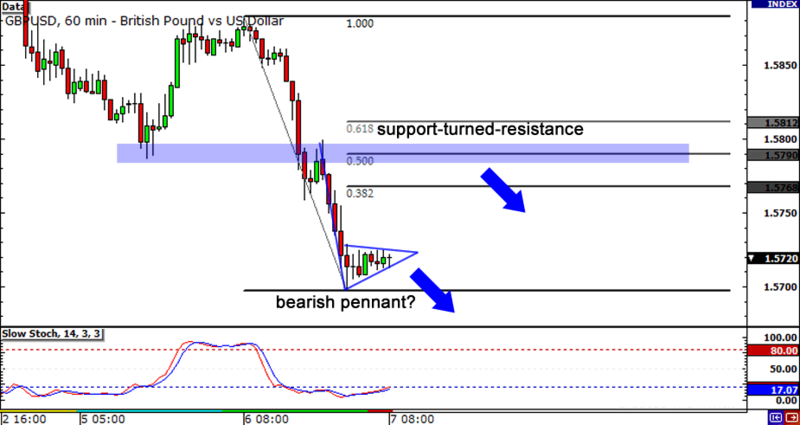 After breaking out of consolidation yesterday, can GBP/USD make it two in a row? This playa is consolidating into another bearish pennant, and with all the selling pressure in the market, don’t be surprised if we see this pair break below the 1.5700 handle soon. On the other hand, if you’d like to wait for a retracement before putting on a short position, keep an eye out on the 1.5800 handle, which not only lies between the 50.0% and 61.8% Fib levels, but was also a support level earlier in the week. Lastly, here’s my take on the Swissy. After forming a double bottom recently, the pair has racked up the pips, rising just over 300 pips and is now trading just below .9200. 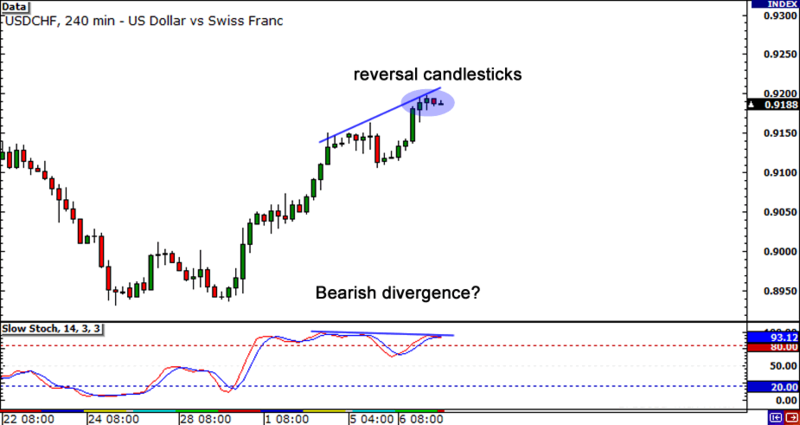 However, we’re now starting to see some sluggishness, as a few reversal candlesticks have formed while bearish divergence is emerging. Could this be end of the recent bullish run? I’d wait for a bearish marubozu candlestick before slapping on some shorts on this pair.